While my niece and nephew haven't made an appearance in a while because of school, but they have been busy reading. I thought I would share some their favorites. As summer is coming, you might find something for your kids' reading lists. I've lost count of how many times my niece has re-read this series. She can't wait for The Scroll to come out later this year. You can see her report on the series here. 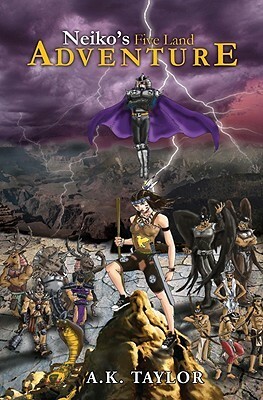 Buy the series at Amazon. 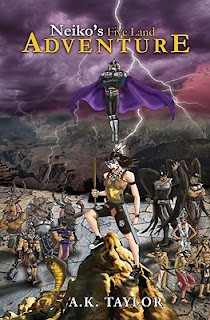 She also has enjoyed Neiko's Five Land Adventure by A. K. Taylor. She hasn't read the next one in the series, Escape From Ancient Egypt, but she's asked me to get it for her. She was re-reading Maya Papaya by Hunter T. Castle, until she talked me into letting her read Hunger Games. She started that last Saturday night, by Tuesday she was calling me for Catching Fire and then she was back on Thursday for Mockingjay. I'm sure I'll hear all about the series when I see here next weekend. As for my nephew, he's into the supernatural scary stuff. He really likes the Huber Hill series and if asked, he can tell you exactly when the next one is coming out (because it was at the end of the last one). I've asked him a couple of times to write a review as he really liked it. 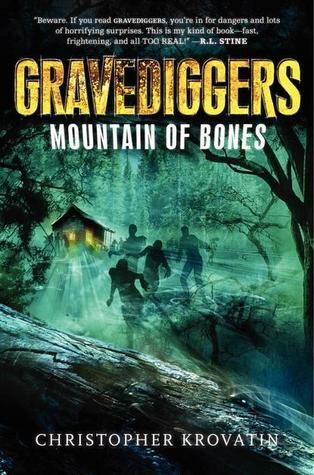 He said Gravediggers: Mountain of Bones was scary like the Goosebumps series. 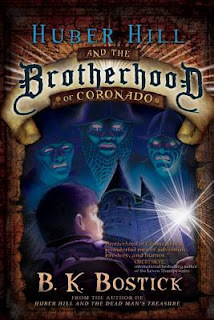 And I'm sure if I told them there were more books by Christopher Krovatin he would act disinterested, but would bring it up in passing as he's at that age where he's not sure if reading is cool for boys. You can check out the labels Kid Reads and Kid Lit for more recommendations from me and my niece and nephew.